Refractometers are optical instruments used to determine the percentage of soluble solids in a liquid solution. For this, the refractometer makes use of the principle of total refraction of light (originated by the type and concentration of dissolved substances in a liquid solution for example sugar), which takes place in the boundary layer between the prism and the sample. The refractive index of the prism determines the upper limit of the measurement range, since this must always be greater than that of the sample. The refractometer therefore measures the density of liquids, the more dense a liquid, the greater the refraction. The refractometers were invented by Dr. Ernst Abbe, a German / Austrian scientist at the beginning of the 20th century. The Abbe refractometer is the "grandfather" of all modern refractometers, thanks to its simple operation and its reliability, it still has a place in laboratories. There are two types of refractometers based on the detection of the refractive index; transparent systems and reflection systems. Portable refractometers and Abbe refractometers use transparent systems, while digital refractometers use reflection systems. Verify its degree of purity. Analyze the percentage of solute dissolved in a given solution. 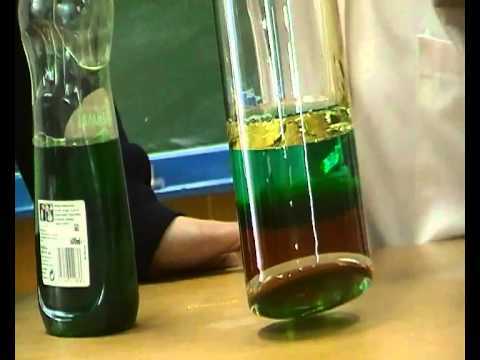 Its operation is based on using the refraction of light, which is a physical property of any substance and is related to some physical properties such as density. From this, and according to its application, different scales are built. The most commonly used scale is Brix Degrees (Proportion of sucrose or salts in a solution). There are other scales, such as: % salt, gs, g/dl, nD,% w / w,% vol,% water, mash sacch, M-10, MDT, among others. What are the parts of a refractometer? Main Prism: It is where the samples are placed, it allows to measure different types of solutions, for example: drinks, sugar, honey, salt water, alcohol, jams, grapes, etc. The prism has a sheet that allows covering the substances that are deposited here. Adjustment Screw: Used to adjust the calibration of the device. Mirror Tube: Reflects light up through the refractometer. Eyepiece: Focusable lens where the scale is observed. Scale: Located inside, indicates the scale of measurement and varies according to its application and characteristics. 2. Close the sheet that prevents the entry of light, gently. 3. The sample should extend over the surface of the prism. 4. Look at the scale through the lens. 5. The reading of the scale is in frontier line. 6. Dry and clean the prism sample with tissue paper and water.